There may be times in which you need to create a new order for a customer. This is typically used to create orders for giveaways or promotional offers. 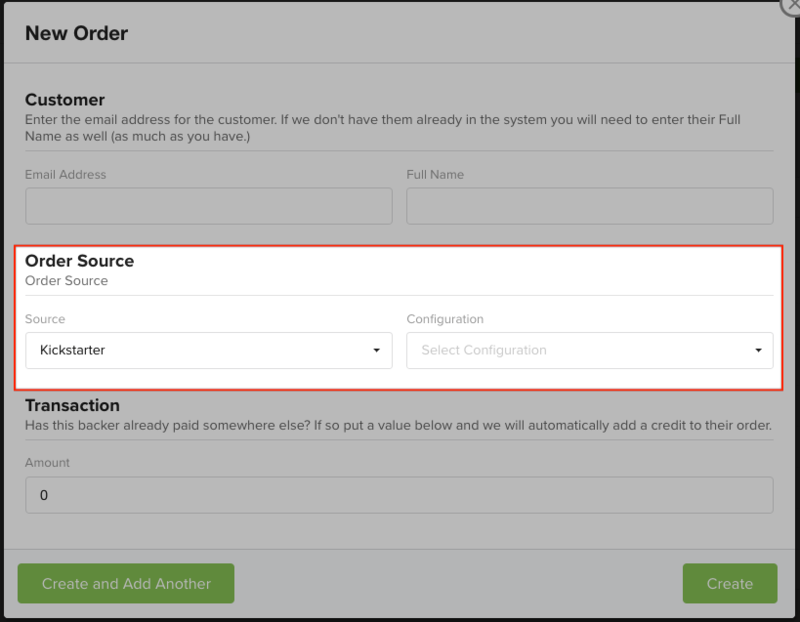 3) Fill in the new customer details. Enter the backer's email and name. 4) Fill in the Order Source details. Add the order under Kickstarter, Indiegogo, or Crowd Ox. Then select the associated reward level. After you've selected the reward level, the option to pre-select the order's shipping country will pop up. If you have the country the delivery will ship to, go ahead and select it. Otherwise, the backer will be prompted to select it during the survey. 6) Fill in the transaction details. Enter the amount of payment that should be recognized on this order. 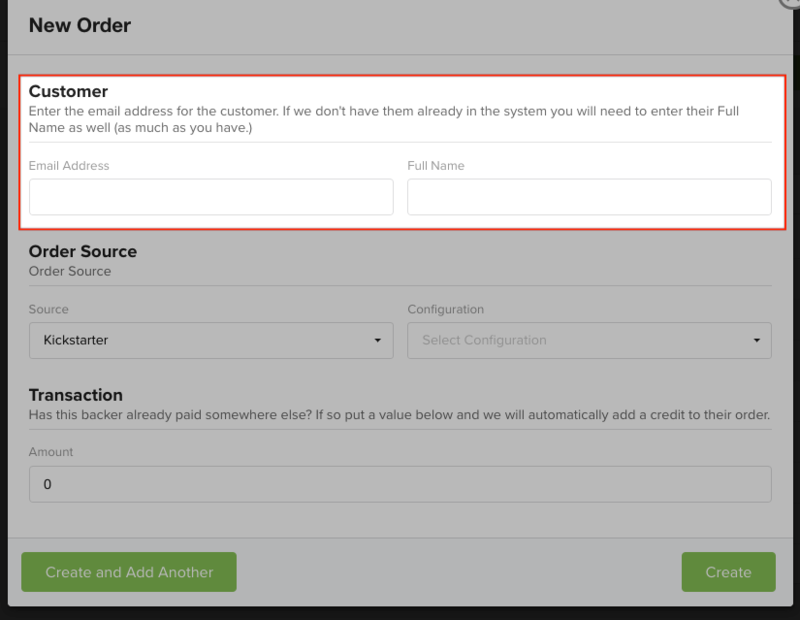 If the backer is expected to pay for the entire reward level and shipping (if applicable) then leave the amount at zero. However, if the backer is receiving the pledge for free or at a discount, enter the amount of the reward level and shipping (if applicable). Found in the bottom right corner. 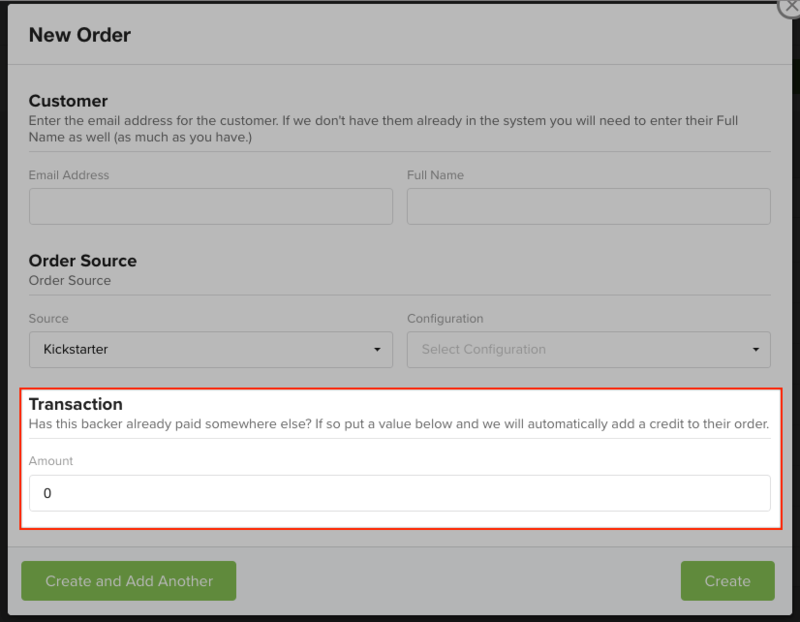 Use the "Create and Add Another" if you have additional new orders to create. Otherwise, the next screen will open into the new order.